Honestly, I never really understood this love for wool dryer balls. I’m curious who the person is who came up with the whole idea. If they thought that, then they certainly deserve an award or something. I would have never come up with the idea. So, why use a wool dryer ball? 1) They bounce around your dryer (basically pounding your clothes and diapers) thereby keeping your laundry soft. 2) They bounce around your dryer (…) thereby separating the items and decreasing the drying time. A month ago, Sweetbottoms Baby Boutique sent me 4 Buddha Bunz Wool Dryer balls to try out. I have been using them in every load and I have definitely noticed that the clothes are softer. Beth did tell me that the Buddha Bunz wahm suggests 8 for extra large loads…which is pretty much every one of my loads. Because of this I haven’t noticed a decrease in drying time BUT I do have a new dryer and I don’t think I have the thing figured out. I thought it’d be the washer I’d have issues with! Another very slight effect of using dryer balls is a minimal decrease in static. I feel like this has been a big improvement for me. Athletic shorts don’t stick to everything in the load and you don’t hear that crackle that I use to hear. Over the course of a year the price of 4-8 Buddha Bunz dryer balls would be worth it. If you are currently using dryer sheets and/or fabric softener (not good for cloth diapers unless you are using a safe brand) then you will see the savings quickly. On a slightly different note, while I was looking for the Buddha Bunz dryer balls on Sweetbottoms Baby I discovered a very neat program that she has. It’s called the Newborn Diaper Rental program. I *highly* encourage you to check it out if you are expecting. If I didn’t have so many newborn diapers already I might have done it myself! Sweetbottoms Baby Boutique is giving away 4 Buddha Bunz Wool Dryer balls to one of my readers. There are a few ways to enter this time, PLEASE make them separate comments if you want more than one entry! Become a fan of Sweetbottoms Baby Boutique on Facebook. Make a guess as to what I just bought as I was typing out these giveaway guidelines– seriously! I have a problem! Buddha Bunz are great for everyone! Send someone you know that uses a dryer (and maybe you want to influence them to cloth diaper ;) ) over here to enter the giveaway. I will be camping from Monday-Friday this week. I will approve comments off and on so if you don’t see your entry don’t panic, it will be. The contest will end Saturday around noon. Is there an advantage to using the wool dryer balls vs the hard plastic ones? I have some of the hard plastic ones, so just curious if it would be beneficial to get some wool ones instead. Besides being natural, no. I haven’t seen a significant benefit to using dryer balls in the long term. My dog enjoys them…we call them really expensive tennis balls. I am interested in trying (from sweet baby bottoms) the amber or hazelnut necklaces for my baby. Anyone had good results with them? I would have to say more one size diapers, I have never hear of Kawaii, but they look so darn cute. So, I gotta know what it is like to use these. I have heard some great things about them. I’m guessing you just bought a Swimmi by Bummis swim diaper for this summer! I think I would but the Light Mix Round Bead Baltic Amber Necklace. My son is teething right now and I would LOVE to see if this could help him! I am a fan of Sweetbottoms Baby Boutique on Facebook. I never thought I could get so easily addicted to something :) I would def buy some loveybums Organic Wool Covers and an Aristocrats Wool Soaker…and why stop there, then I’d get some dryer balls (though I think I may do that anyway because I can’t seem to control myself!). I would buy a Sleepy Wrap! I bought mine at http://www.WoolDryerBalls.com two years ago and have the same 6 balls going around in my dryer right now! The ones here last for years and year! We LOVE them! Did you buy one of those cool Gypsy Mama Water Wraps? I am a sweetbottom baby FB fan. I would buy a dozen of the clover newborn organic fitteds for my little one on the way. Did you buy some LuSa Organics Products? I’m just sent this to my only other friend that does cloth diapering right now! I don’t think she uses wool dryer balls yet. I just became a fan of sweetbottoms baby boutique on facebook! Oooooh, hard to guess. I’m gonna go with the cranky essential oil. I get a FuzziBunz or two. Did you buy more dryer balls?? I want to try one of the Kawaii baby minky spotted cow diapers. I liked sweetbottoms baby boutique on facebook. A Gypsy mama water wrap & a teething necklace! I think that you bought LBaggies, the alternative to plastic bags. I would buy the Milk savers Breast pads. Pretty cool little things. A water wrap for certain. too cool!!! Sent over friends from Facebook to enter in your giveaway! 2. If I had unlimited funds, I’d buy an entire stash of newborn diapers for my friend. She’s *slightly* interested in cloth and I think she’d have no choice but to switch if I gave her a whole brand new stash! LOL! 3. I’m guessing you bought swim diapers. If money wasn’t a problem I’d get the Gypsy Mama water wrap and the willow organic Boba baby carrier. If I didn’t have to think about budget, I would totally buy one or two of the large, green tea,loveybums wool covers. Sorry, I meant I’m a new fan of Sweetbottoms Baby Boutique. I’m going to guess you bought a diaper! Maybe a swim diaper since summer is here. I would buy the Boba Organic Carrier. I think you are buying a Gro Baby AI2? If I didn’t have to worry about my current budget, I’d buy a stash of 24 newborn fitted diapers (the Clover ones). Instead, I’ll be sticking with my prefolds! I’m guessing you bought more dryer balls to complete your set! Wish list: If I could buy any item off of her site, I would get 6 Large Loveybums Wool Covers and 3 XL – in assorted colors. This is a huge wish, because I would also have to go to NC to pick them up in person. Not sure why she doesn’t ship this item? I fanned Sweetbottoms on Facebook. I LOVE my Buddha Bunz dryer balls. I have 4 and I would love to up the number to the full 8! Its so hard to pick only ONE thing I would buy!! I went a fitted overnight with wool cover, amber necklace and a sleepy wrap (in brown!). I’m expecting early next year and seriously considering cloth diapering…interested in saving $$, the environment and my baby’s health. Would LOVE the wool dryer balls to get me started off! If I didn’t have to follow my budget I would splurge on a really nice prenatal massage. I could really use one! 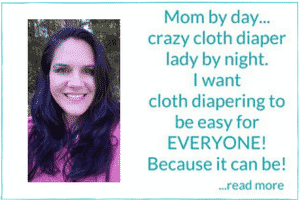 did you buy a cloth diaper? I suggested this giveaway to a friend! I’m going to guess you bought some cloth diapers. If I could buy something right now without worrying about a budget I’d buy some Aristocrats Wool Soakers. I’m a FB fan of SBB. I am a Sweetbottoms fan on Facebook. I’m guessing you bought some Motherlove Pregnant Belly Oil for your growing belly! I would buy a loveybums pull up wool cover! I would guess that you bought another cloth diaper. I would buy some BumGenius Organic OS AIO diapers. I’m guessing that you bought some sweet smelling Rockin Green! If I were to buy something from Sweet Bottoms Baby, it would be an amber teething necklace. I have two teething children in my home and I have heard good things about them but have yet to try one. I became a SBB facebook fan! I would buy the wool dryer balls just to see if they worked…..also the rockin green soap for sensitive skin. I became a fan of Sweetbottoms Baby Boutique on facebook. I’m guessing you bought a wool cover. If i didnt have to worry about my budget I would get a Kawaii Babay minky and a FuzziBunz to try. I bet you bought a swim diaper. Well, I visited their site, and I BOUGHT a drybees fleece night pocket. I was looking everywhere for those and couldn’t find them, so I’m so glad that you posted this give away today. became a SBB fan on FB! I have so been wanting to try some of these. It seems like as it gets nicer outside that my diapers are starting to take longer to dry. I would love to dry them outside, but my HOA has rules against it. I have considered making my own wool balls, but wasn’t sure it was worth the investment of time. I am a Sweetbottoms Baby Boutique fan on facebook! I sent a friend the link to the giveaway. I would get a Boba Carrier! I’m a fan of Sweet Bottoms Baby Boutique on FB ! fan of Sweetbottoms Baby Boutique on Facebook. Did you buy some RnG? I would get some amber teething necklaces or a carrier. I would totally buy the sleeping potions, the cranky pants oil and some wool soakers and some thirsties covers!!! I think you just bought 4 more dryer balls! I would buy some more OS fuzzi bunz in the new colors! I’m already a fan of SBBB on FB! I think you picked up a Bumboo Bamboo/Silk Fitted.. I just became a fan of Sweetbottoms baby boutique! I would buy anything by Thirsties! I love, love, love their products! I’m guessing you bought one (or more) of the Swimmis by Bummis for summertime fun! (If you did, please post a review). I became a fan of Sweet Baby Bottoms on facebook. I would by one of every cloth diaper they have to try. I am new to cloth diapering and want to try them all! 3. I’m guessing you bought some Lusa Booty balm…always good to have some diaper rash cream on hand before a baby is born. Or maybe the Lusa Wipe Solution. I just became a fan Of Sweetbottoms Baby Boutique on FB! I’d by a boba baby carrier if I didn’t have a budget. I’m curious as to what they are like. Im posting on twitter about your giveaway now! You bought a Bumboo Bamboo Fitted Diaper. I would buy a set of dryer balls – I have been thinking about them for a bit now! I am guessing you bought a swim diaper! I’m a fan of Sweetbottoms Baby Boutique on Facebook! 4. Posted a link on my FB page! 3. I’m guessing you bought one of those cute little swimmies for summertime fun! I just started out doing cloth diapers, so if my budget was bigger I would purchase a few more diapers!!! I am going to guess that you are going to try mama cloth after this baby is born.. Is that what you bought??? I see they have some. I tried mama cloth and am hooked! No irritation from the disposable pads!! I am not planning to ever go back to disposable pads!! Autumn, if you havnt tried them you seriously should think about it! I started using liners while pregnant and was pretty impressed! Made my own. Made my own PP mama cloth and am trying to convert my sister too. Now I am working on a regular period stash for later on when AF comes back. sorry if TMI but I really think you should look into it if you havnt already!! Ok.. this was way longer then I thought.. haha sorry! If it was in the budget and our tires hadnt been slashed in the night the other night I would want to try some amber teething necklaces.. My son is teething right now.. I have wanted to try drier balls for a while too.. I just became a fan on FB. WOW! What a great site! There are SO MANY things. I have a sweet baby due in the end of Sept and really like the sounds of the diaper rental. I think overall I would have to say Fuzzibunz one size and some hemp inserts. What do I think you bought… wow, how about a new type of cloth diaper, one that you haven’t tried before, but couldn’t resist? If I didnt’ have a budget, I’d buy one of everything I didn’t already have, and then some more of my favorites for my friends, to convert them to cloth! I would love to try out these dryer balls, especially the ones that are scented! let’s see what’s new for the CDing diva that has (almost) everything…. Ooohhh….I want a Wrapsody Bali Breeze Wrap. I already have a Moby Wrap but Florida in the summertime……Too Hot! These look so nice and cool…. Became a fan of you on facebook. If I had no budget to worry about and was shopping at sweet bottom baby, I would buy some loveybums pull up covers and some fitteds (dream ez, and babykicks). A girl can dream right? I am a fan of sweet bottoms baby on facebook. 3.I would guess the Loveybag! I just became a Sweet Bottoms Baby Fan on FB! there are so many things I would grab but if I had to name one, more gro baby covers for my wee man, I need them LOl! Perhaps you bought one of their MotherLove Mom Care goods? I would buy a Flip day pack!! I have wanted one for a while..
You bought more diapers & more dryer balls! I follow Sweetbottoms on FB! I loooove that website.. I order from them quite often!! I’m a fan of Sweetbottoms Baby Boutique on Facebook. i’m sending this to some of my mommy friends on facebook. I would love the sleepy wrap! my guess is that you bought some more Buddha Bunz dryer balls. in a budgetless world, i would be all about a loveybums pull up wool cover for over snapdragon’s snappied prefolds. I am a sweetbottoms facebook fan! I’m sending a CD’ing friend a link to the giveaway! Fan, check. I’d buy more BGOS, Flip (really want to try these, especially with all the vacations coming) and an amber necklace. You bought, my guess is the Swimmi by Bummis, that turtle pattern is uber cute and it is summer. Sent a friend, check. Really wanting to try the dryer balls, your timing is amazing! CONGRATULATIONS, KRIS!!! YOU WERE CHOSEN BY RANDOM.ORG AS THE WINNER OF 4 BUDDHA BUNZ WOOL DRYER BALLS! I’m guessing you ordered a Kawaii Pure and Natural diaper. I am a fan on Sweetbottoms on FB. Just became a friend of Sweetbottoms Baby Boutique. 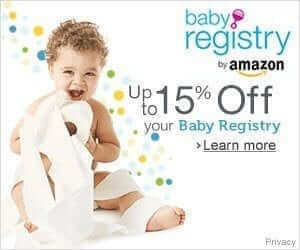 LOVE the idea of renting newborn diapers! Can’t wait to try for #2 now!!! Perfect timing for this review…..I have been using Mainstays dryer balls since Christmas and while I like them, one already has a hole in it. I was thinking it was time to switch to wool dryer balls….and now I know where I will get them from! I would get the amber teething necklace from their website, molars are coming in with a vengeance! went over the the sweetbottoms baby website and if I wasn’t on a budget and my husband hadn’t cut me off for a while from buying cloth I would get some Kawaii Baby Minky One-Size Pocket they look so soft and cute!